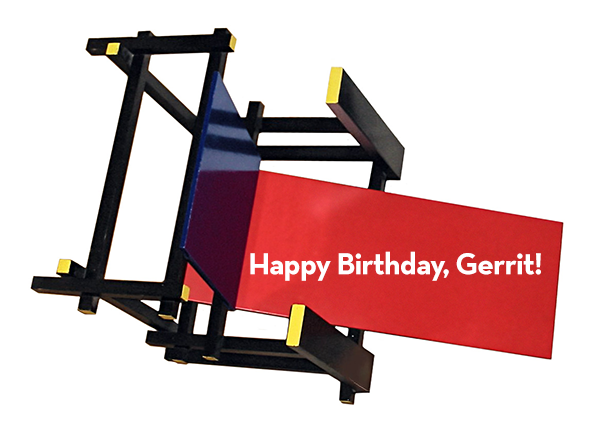 Gerrit Reitveld has a birthday today! He was born in 1888 on June 24. 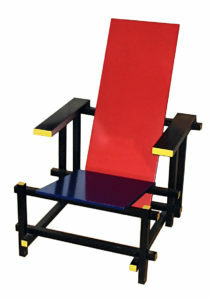 Known for his designs and as part of the De Stijl movement, he is probably most famous for this chair in black, red, yellow,blue and red. Almost like he took some toy wooden blocks and attached them together at various geometric points, he created a rather comfortable and memorable sitting place. Born in the Netherlands, Gerrit was a furniture maker and designed buildings. His house, the Rietveld Schröder House, located in Utrecht in the Netherlands, has a similar look for building blocks. If you want to build your own chair, here is a plan for it! Gerrit passed away in 1964. Happy Birthday today! !